*Echo Chamber Bleed only available on the Echoplant kit. 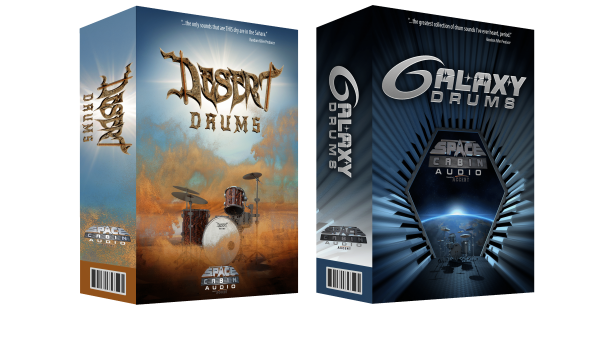 Get both of our amazing drum libraries for one low price. Recorded at Blue Wave Studios in Vancouver, this library pushes the limits on what was traditionally acceptable. Galaxy was recorded on a Vintage Gretsch kit and a custom Dunnett kit. 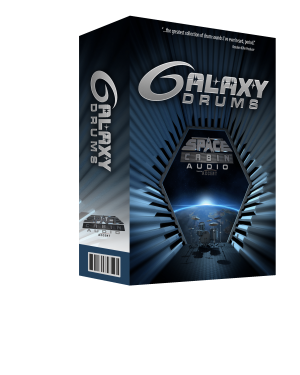 It includes 4 snares, a variety of cymbals, as well as different mic options for both the Hihats and Toms. With up to 18 velocity zones and up to 25 round robins per velocity zone, this kit fits perfectly into rock, modern rock, and heavy metal. 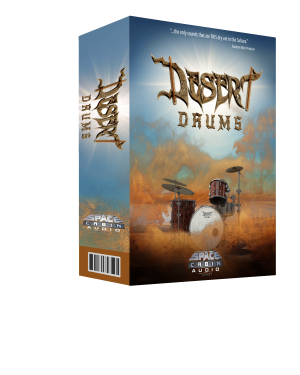 Recorded at Tugboat Studio and Echoplant Studios in Vancouver, Desert Drums delivers on what the industry has been screaming for. The perfect dry drum sound. This library includes up to 16 velocity zones and up to 12 round robins per velocity zone. Recorded using 2 vintage Rogers kits, 4 snares, and a variety of vintage cymbals you will be able to sculpt everything from a vintage dry drum sound to a modern dry drum sound and anything in between.